Earlier this week we reported on Sony’s ‘Concept for Android’ initiative that it will trial in Sweden. 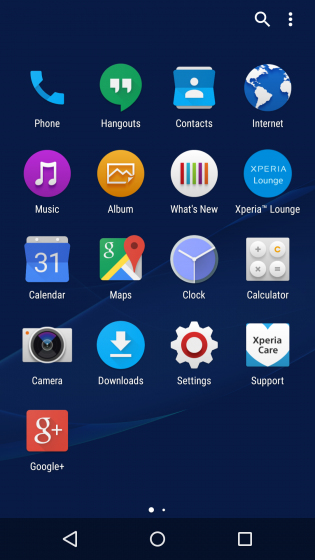 This gives select Swedish Xperia Z3 owners the chance to test a new Sony Xperia Android software experience. Sony has today revealed a few more details on the project, including a couple of screenshots. 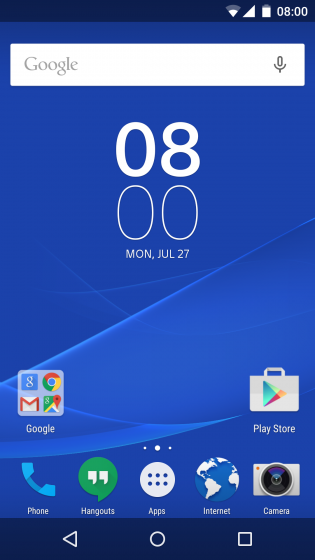 The new Sony Android experience has been developed in response to feedback from users. Sony describes the Concept for Android as having a “stripped back, vanilla Android look and feel, with native Sony features and apps we find most popular amongst our users.” The new UI is based on Android 5.1 Lollipop. Sony goes on to say that it plans to “shift towards a model that allows for the creation of experiences with real user input, whilst adopting more transparent and open workflows.” That sounds good to us, if it means faster Android updates and bug fixes. The beta test is open to 500 Sony Xperia Z3 owners in Sweden on a first-come, first serve basis. You can apply to be part of the trial by clicking here. If you made the cut, you will be notified in a few weeks’ time. Sony says that the trial will enable it to assess whether it can potentially run these Android concept initiatives for more markets over time.